The tour of london started at the Paddington Station. I took an Express train from Heathrow to London Central for a whooping amount of 16pounds (1200Rs). The first shock was the numbing chill. The temperature was close to 1 degree celsius, the wind chill being lower. Luckily I had an extra sweater to warm me up. After buying a cap to keep my head warm to maintain my cool ;), I started to enquire about the best place to roam the night. 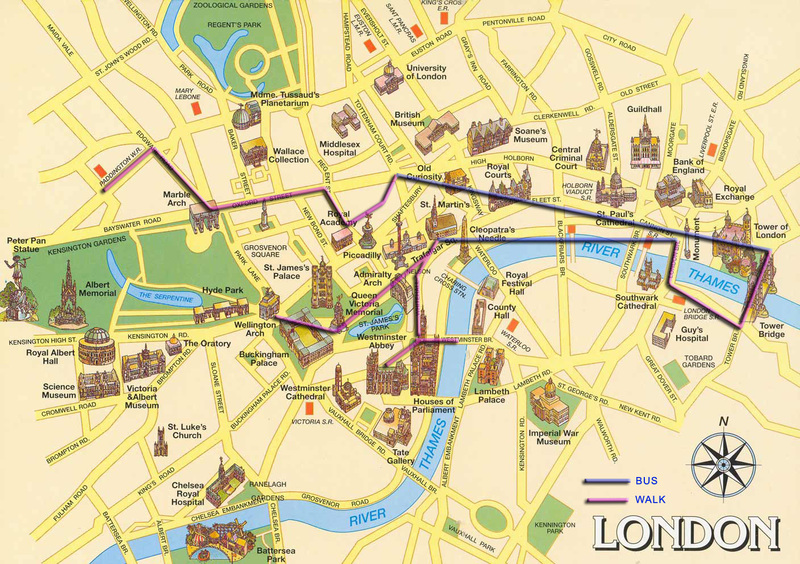 All roads lead to London Central – a busy shopping area, which turn into a huge pub by the night. This shot was taken at 2am in the SOHO district, also famous for its gay and lesbian crowd. I first went over the Tower bridge, little did I realize that to get a good picture of a bridge I should not on it but looking at it from a distance. A walk of a kilometer and I was on the less famous London bridge to shoot on Tower bridge. Looking at the London Eye, from the westminister bridge. From wiki – The London Eye (Millennium Wheel) at a height of 135 metres (443 ft), is the biggest Ferris wheel in Europe, and has become the most popular paid tourist attraction in the United Kingdom, visited by over 3 million people a year. I was in double minds to visit Buckingham Palace. It was near 4 am in the night, and I was exhausted numb from the cold. Moreover there were no buses that went near it. Finally decided to walk the extra mile and take this eerie shot of the Palace.